Ok, enough Shakespeare. Obvious to some, we are smitten with everything Laura puts into vectors. Al Fresco, her latest, delivers the goods. If your library doesn't include at least one of her fonts, you must be new here. And, it's on sale! Seventeen year-old Jasper de Waard's first commercial family is absolutely stunning. 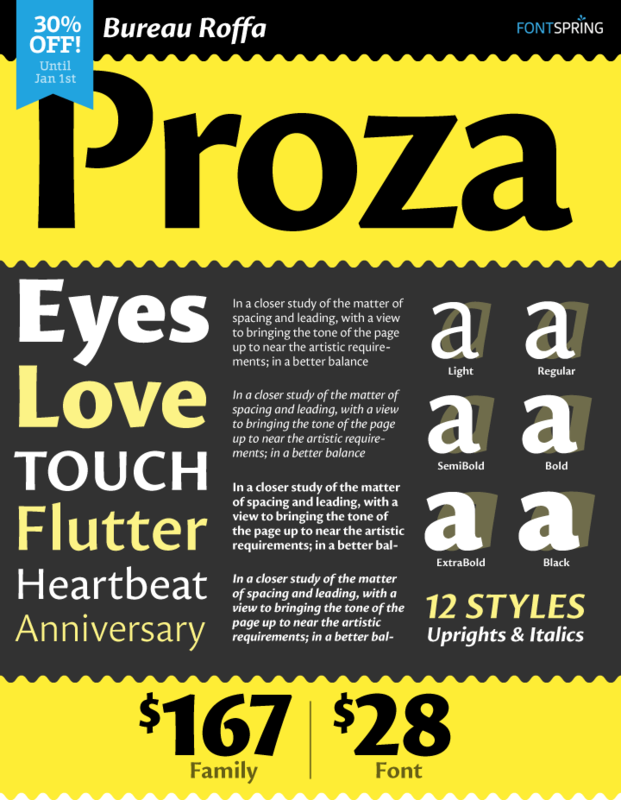 This beautiful humanist sans with warmth and character is destined to become a classic. And keep your eye on Jasper, I predict he'll be making big waves in the font world. Read about the making of this family on the I Love Typography website. Hoftype does it again. Building on the successful Equip sans, Equip Slab is a big hunk of win. It has a friendly, contemporary feel with sharp lines and a clean cut. 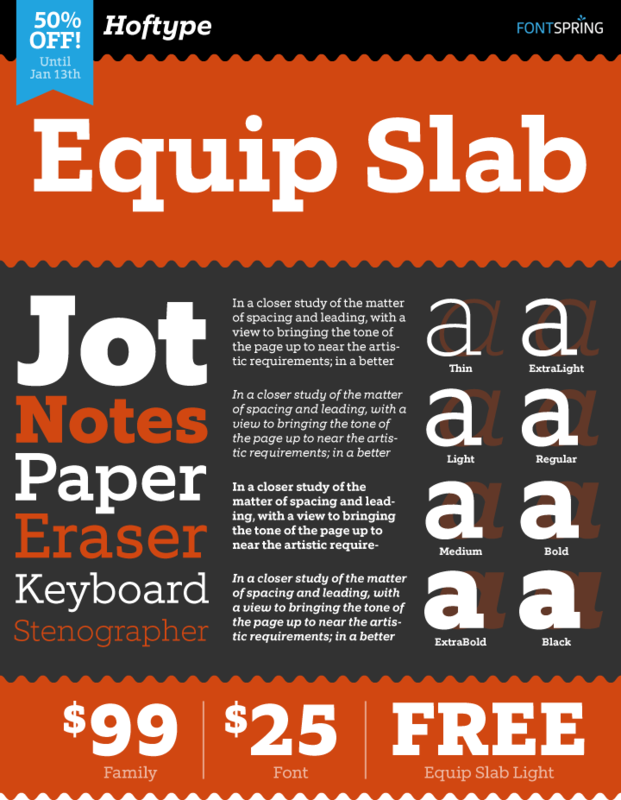 Featuring a full set of weights and OpenType features, Equip Slab should age well in the crowded slab serif marketplace. 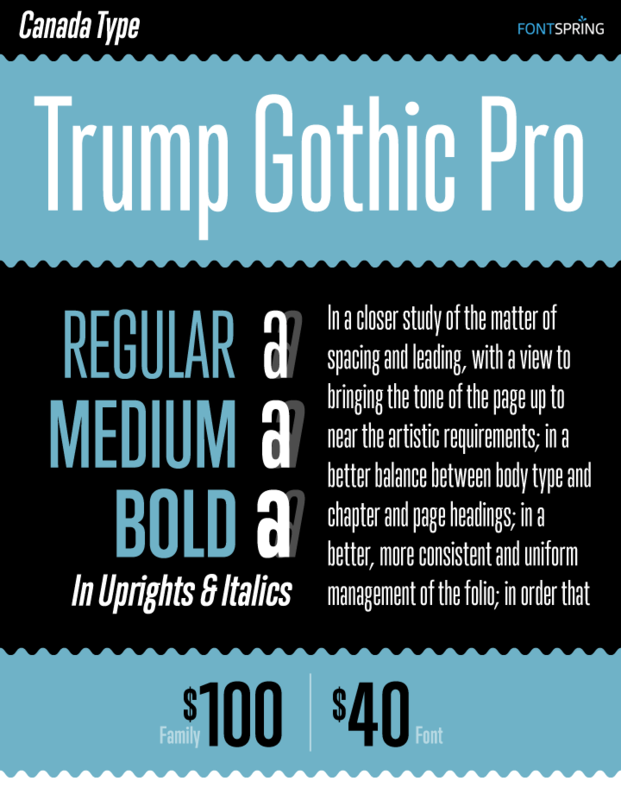 Trump Gothic has long been one of our favorite fonts and is featured every month in this newsletter’s titles. 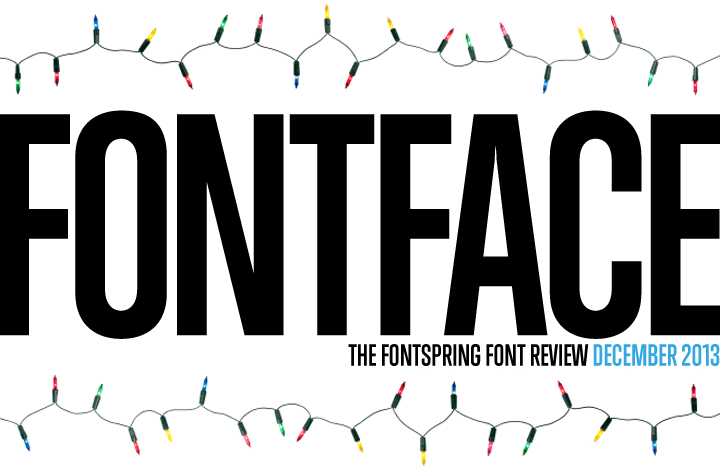 This year, the typeface was redrawn, refitted, optimized and greatly expanded, and the result is Trump Gothic Pro. 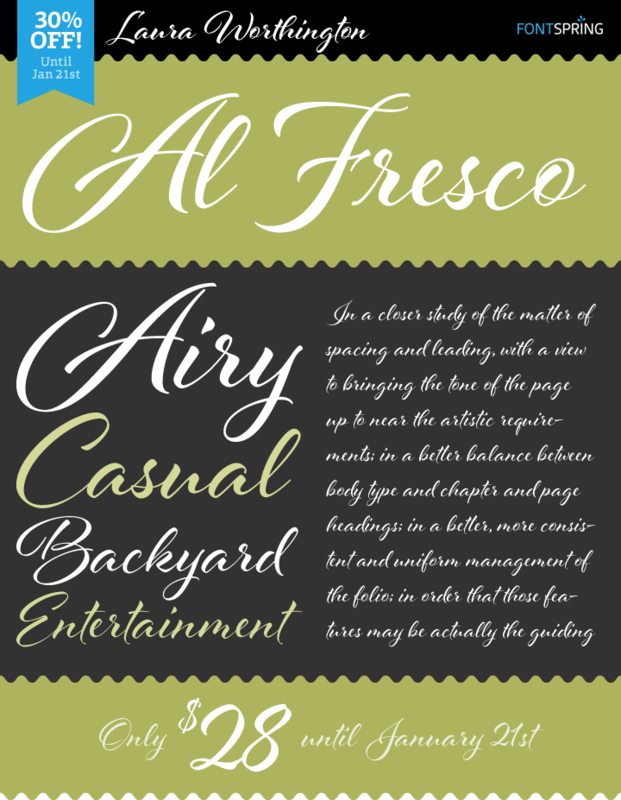 Each font contains over 1020 glyphs and a wealth of OpenType features, including small caps, caps-to-small-caps, stylistic alternates, unicase/monocase alternates and a lot more. That means you'll use it a lot and it will become one of your best friends forever. 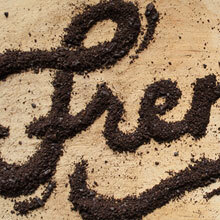 This month, we indulged our love of creative lettering. Artist Danielle Evans turns mashed potatoes, chili powder and other assorted food into beautiful (and frankly odd) lettering artwork. 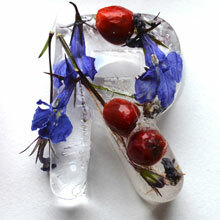 British designer Petra Blahova created a stunning alphabet using (of all things) ice and items found in her garden. This project makes you sit up and think about art materials a little differently. 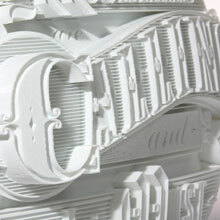 Canadian lettering artist Ben Johnston created an intricate hand-lettered design and printed it into a three dimensional sculpture. The animated GIF of the thing spinning is intense.